Easter Sunday is this Sunday. We will be looking at the most comprehensive study in the Bible of the Resurrection in I Corinthians 15. Pastor Dan will be showing the abundance of evidence to demonstrate the Resurrection of Christ when compared to other historical events that are completely accepted. Pastor Dan will be sharing also the certanity and the motivation the Resurrection of Christ gives our faith. The choir will be sharing selected portions from their recent presentation. It promises to be a great day with a plentiful sermon of Scripture and assurance we have because of the Resurrection. The Process of Imputation through Christ’s Sacriifce on the Cross for us. The 2nd work of Christ in the song Rock of Ages relates to the Imputed Righteousness of Christ. The song says He cleanses from sin. This refers to the payment once and for all Jesus made from sin I John 1:7. The other work accomplished is making us pure. This means the righteousness God gives us when we trust in Christ’s sacrifice for us as our salvation. It is how God sees us in Christ. It is our coverage from the wrath of God against sin. It does not mean we will never sin again., but it is how God counts His Son’s work toward us on our behalf when we believe. Come Sunday and hear this core teaching of the true meaning on the cross on Palm Sunday in Pastor Dan’s message. The Mount of Transfiguration experience of Jesus being transfigured with Moses and Elijah appearing has a deep meaning. To often we skim over it and are amazed at these two pillars of Israel joining Jesus there. But there is a deeper meaning in what they conversed with him about and how Jesus gained strength thru this experience to go to the cross and die for our sins. Pastor Dan will be exploring this meaning and help we who need strength to face the challenges of life by God’s glory. Join us for this informative message. The thrilling story of the gospel coming to the European continent is fully seen in Paul and Silas going to Philippi. They find an open door with the open heart of Lydia who seems to sponsor their work there. Despite distractions with the ventriloquist demon-possessed damsel, they preach the gospel and have a great response. Suddenly they are seized and thrown into prison after being beaten. God sends an earthquake but Paul and Silas don’t leave. They help the jailor save his skin as well as his soul. He and his house are baptized after they believe and God is victorious over all the attempts to stop the forward advance of the gospel. Pastor Dan will narrate as well as draw deep truths from this tremendous story. So, don’t miss this message. 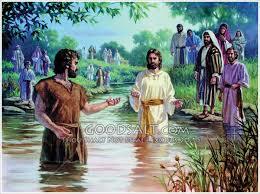 Jesus preparing to be baptized by John the Baptist. There is a misunderstanding of John the Baptist ministry as to his strategic place in preparing the way and the church for Jesus Ministry and redemptive message. Pastor Dan will be bringing an interesting message on how Jesus and John the Baptist blend together. The hope is to see when the church started, how it is commissioned to baptize and disciple people and how the origins of baptism and its purpose are seen in the ministry of John and continue today in New Testament churches. Join us for this exciting study Sunday. Is it possible to believe the Bible and not use it wisely. The Bible is best seller of all time, but it can be used wrongly at times as in the case of cults, shallowness and a lack of understanding. We need to use the Bible wisely and Psalms 19 tells how we can use the Bible in such a manner that allows us to get the maximum benefit from using it. Pastor Dan will be sharing from this great Scripture Sunday, so join us for an exciting study. Malachi confronts superficial religion in the last book of the Old Testament. He raises rhetorical questions which he uses to answer for God. His questions and God’s answers convict us even in our day. The people were supposed to be ready for the coming of the Messiah since that is the next event on God’s agenda. The lesson is clear for us. We are not ready for God to do something wonderful if we are complacent about our relationship with God. Pastor Dan seeks to make this modern day application in his message Sunday. Don’t miss his last message on Old Testament characters. Jonah, after being thrown overboard and swallowed by the whale. Jonah is one of the most interesting books in the Bible because of the miracle that took place and the story behind it. It is more than a big fish story. 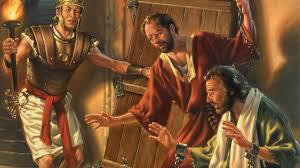 It is a story of a prophet’s rebellion against God’s Will and the amazing way God turned him around. (thru being swallowed by a big fish). Through this unsuspected transport he is deposited back to Nineveh where God called him and he delivers the message God gave him. After people turn to God he has a heart problem in not rejoicing over their repentance, which God deals with. Jonah is an action packed story that has powerful lessons. Join us Sunday as Pastor Dan shares them with us. One of the most unusual stories in the Old Testament is the story of Hosea and the difficult command to marry a woman who had been a harlot and goes back to that trade after starting a family with Hosea. Hosea is given the tough command to buy her back out of slavery. It is not only a great story of how God did not give up on his people but also shows us what forgiving love is all about. Forgiving love is not the norm but out of the ordinary. There is a perfect picture in Hosea’s story of what it really is. Pastor Dan will be sharing Sunday about what that looks like in our lives, so don’t miss it. Daniel is one of the greatest biblical characters dealing with convictions given by God and standing by them. HIs refusing to give into the culture of his time speaks to us today. So many familiar stories show his resolve to serve God even when it is the hardest time to do so. He stood true to God and God honored his witness to the two greatest empires at the time. He also saw great things God was going to do in the visions God gave him, that are even for today. Join us Sunday as Pastor Dan looks at his life and how it speaks to us even today. Jeremiah’s call with God touching his lips. Jeremiah is called the weeping prophet because of the burden he had for Judah to turn back to God and His ways. He is called to warn them to repent and when they do not he is grieved they will not heed God’s message. He identifies with their being in such a teniuous position with God. He does not change his message though and is cast in prison. His last few years are spent communicating by letter to those already in exile and offering hope to what God was going to in bringing them back from captivity after 70 years. Pastor Dan will sharing insights from looking at his life and applying them to ours Sunday. Don’t miss it for surely there is something that identifies with you and your need to walk with God. Isaiah was called to be one of the most famous major prophets. HIs prophecies were far reaching even to the present day. God used him to describe how Jesus would die on the cross 700 years before it happened. We are given tremendous truths in his book about the coming kingdom of God at Christ’s return. Lean how his prophecies apply to today as Pastor Dan seeks to show us what he said and its significance to our lives. Sunday will feature a study on the life of Esther and how she was used to save her people in Persia from destruction. It is a classic study in how God can use someone to work behind the scenes for good. Esther is a drama that shows how one person can make the difference if they are willing to be fearless against opposition. Pastor Dan will be sharing about her life and the way God can use us the way he did Esther to deliver people and help them escape ultimate destruction that comes with not knowing Christ. It’s a wonderful story that ends well. Come explore it with us in the Scripture. Sunday we will hear a challenge from Pastor Dan about Making Friends for Christ. 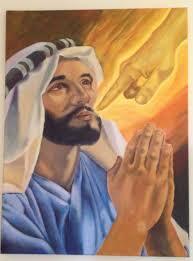 He will review Jesus sharing about how he came to seek and save those who needed Him as Saviour in Luke 15. His searching after those who needed Him is an example of how we need to work on establishing new relationships in this new year of those not going to church and who need a witness from us. Practical steps can be taken to establish these relationships. Come Sunday and find out how we can make friendships for Christ. What a man of God Elisha was. He is one of the only Biblical characters referred to in that way.. You will remember that he was Elisha’s successor who prayed that a double-portion of Elijah’s spirit be on his ministry. ; and boy was it ever. God did amazing thing through his life. He demonstrated God’s power, trusted God with complete confidence, was not intimidated by Kings and had a ministry that excelled in many areas. He is the perfect Old Testament example of one who walked with God and had His fulness in their life. There is much to discover about Elisha and how his walk with God relates to us. Come Sunday and find out about it as Pastor Dan seeks to cover as much as he can about Elisha’s life. Elijah taken up to heaven as Elisha watches. The magnificent story of Elijah’s ascent to heaven helps us understand some essential truths for the New Year. Pastor Dan will be sharing how this story illustrates how we can have God’s power that He granted to previous generations. The story will be examined as to its implications and how we are to trust God to work in same way he worked Elijah and Elisha’s lives. The proper way to view Christmas is the way heaven views it. Everyone loves Christmas but to be true to the message of Christmas, we see how heaven viewed Christ’s coming to earth. Pastor Dan will be sharing how Jesus took upon Himself the role of a servant and what that actually meant. His coming in accordance with God’s Will to be our Saviour is what we need to pay attention to. Pastor Dan will be sharing how heaven viewed the first Christmas message and how Jesus came to earth to do for us what we cannot do for ourselves. Join us for the this special Christmas message and bring a friend. Sunday Sermon December 16, 2018, 10:30 AM "God's Detective Agency"
Pastor Dan will be speaking Sunday on God’s Detective Agency. The story of how God confronted Ahab for taking Naboth’s vineyard and killing him is an illustration of how sin catches up with people. We see it evidenced in this story and it helps us to see how God will track us down through the Holy Spirit if we try to cover up our sin. We see Elijah’s courage in this story and it helps us to see how truth always triumphs, but covering up sin causes all kinds of problems. Come learn more in this interesting message this Sunday. Vern and Jennifer Hancock: Vern is Director of Missions for Gold Coast Baptist Association They have served as International Missionaries through the International Mission Board of the Southern Baptist Convention and will be sharing with us Sunday for a Joint Session of Adult Sunday School at 9;15 AM and in the 10:30 AM service. Prior to assuming the Director of Missions position for Gold Coast Baptist, Vern Hancock was the interim pastor at Ojai Valley Baptist Church. Prior to coming to Ojai, Vern and Jennifer were IMB representatives for 26 years. They served 12 years in Burkina Faso, West Africa and 14 years in South Asia. While in South Asia Vern was the director of the LEAD (Leadership Equipping and Development) team and from 2010 served as National Partners Strategy Coach. (Because of the level of security I had while in South Asia, I avoid advertising either electronically or in print that can be publically accessed my involvement with the IMB.) Jennifer served in Burkina as the primary educator for their two boys, Joshua and Adam. After their transfer to South Asia she served alongside of Vern in the training ministry providing logistical support as well as teaching.